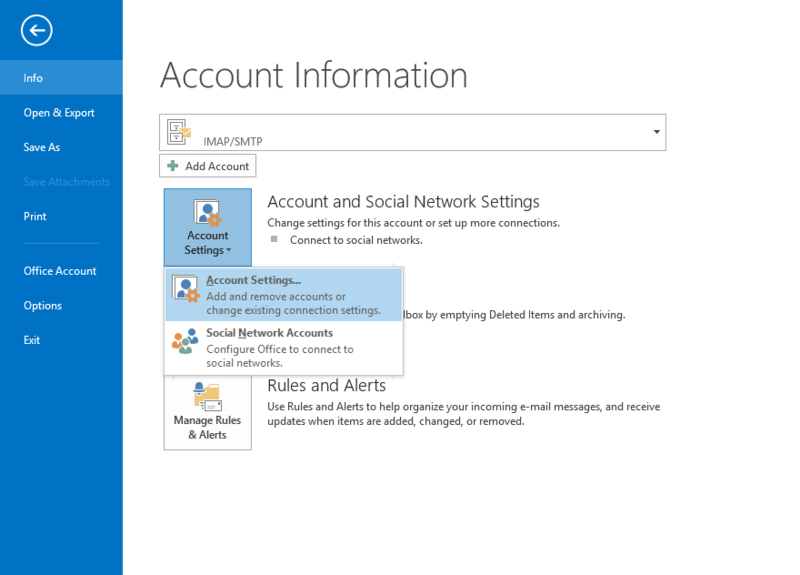 Click "File" and then "Account Settings"
To edit an existing account, click Change. 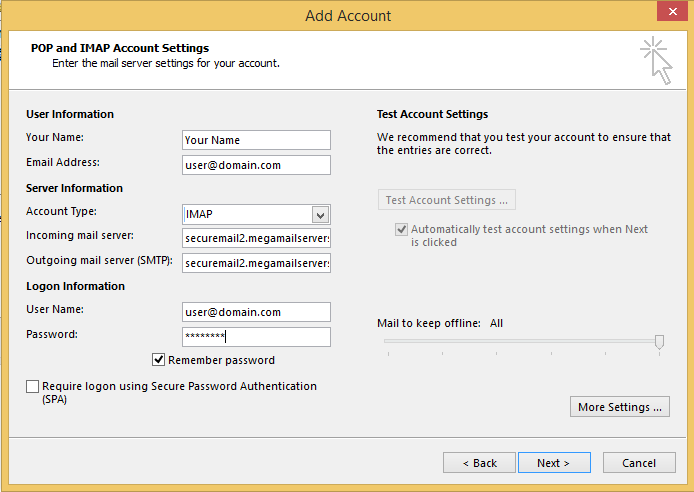 Otherwise, click "New" and select "Manual Setup"
Choose your account type, POP or IMAP. 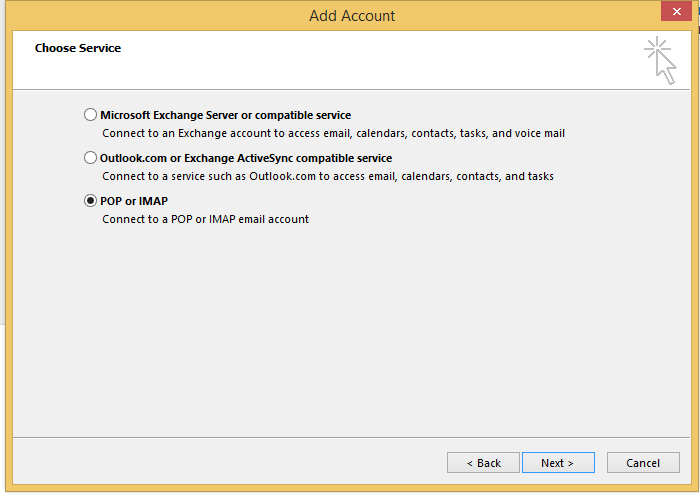 POP will download the mail to your Outlook, removing it from the server. 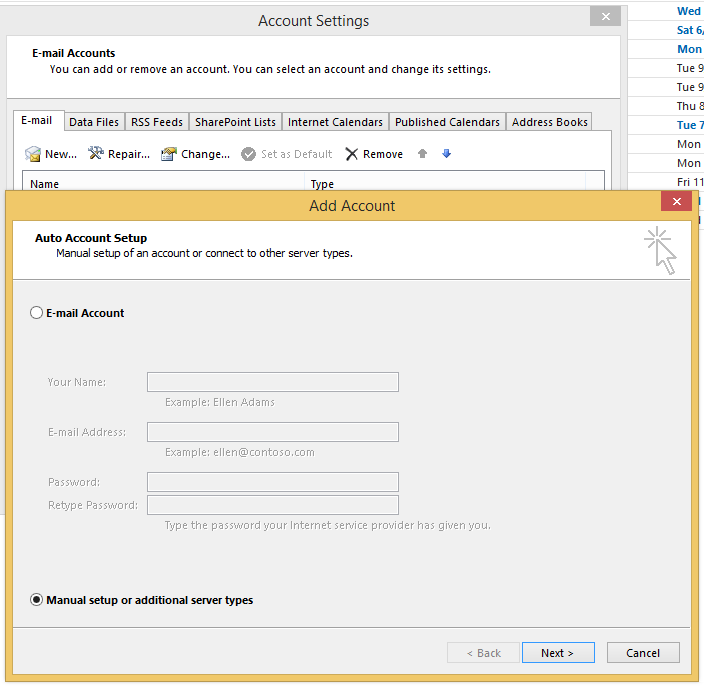 IMAP leaves it on the server and just views it from within Outlook, so you can also view the Server email from your phone, webmail, etc. Your username is your email address. When done, click More Settings. On the "More Settings" box, click the Outgoing Server tab and check the box that says "My outgoing server requires authentication. Click "Advanced." 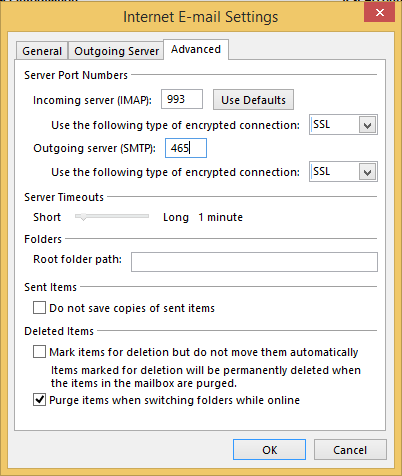 It's recommended to turn on SSL encryption, in which case the port number for IMAP is 993, for POP it is 995, and for SMTP it is 465. 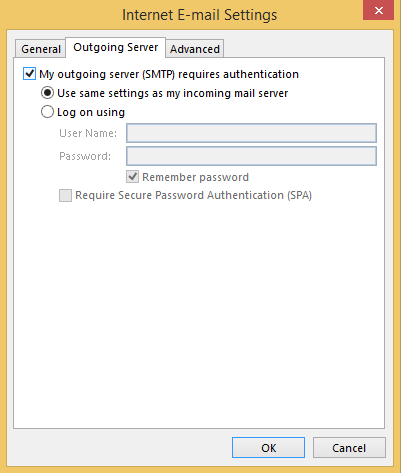 If you do not use SSL, then the ports are 143 for IMAP, 110 for POP, and 1025 for SMTP.